Forty minutes west of downtown Charleston along Highway 17, Wadmalaw Island is a full step removed from the hustle and noise of many of Charleston's real estate communities. 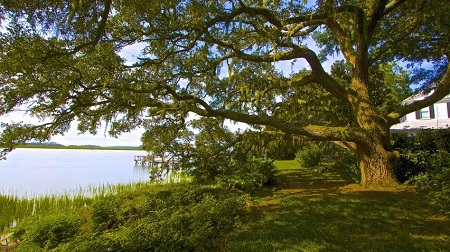 Located in one of the most rural areas of Charleston County, Wadmalaw Island offers uniquely spacious and private living opportunities. Along with the nearby developed communities of Johns Island and Rural West Ashley, Wadmalaw offers prospective homebuyers a chance to unwind amidst largely unspoiled surroundings. Fronted to the southeast by Seabrook Island, Wadmalaw Island has no formal coastline facing the Atlantic Ocean. However, crisscrossing the island are countless saltwater and freshwater canals, waterways, and ponds that are perfect for boating, fishing, and hunting. Waterfront lots are priced competitively on Wadmalaw Island, making the dream of owning waterfront property (which would be unattainable on Kiawah or Seabrook Island) a reality. Shopping on Wadmalaw Island involves travel. This is the same whether it be a quick trip to neighboring Johns Island for groceries, household goods, or dining out. Many residents also take a longer excursion for dinner or entertainment in nearby West Ashley or James Island. The island's bucolic charm extends not only to its residential, but to its commercial development as well. Real estate on Wadmalaw Island traditionally consists of single family homes situated on large parcels. This emphasis towards space and privacy will be continued in the future, as new home construction will require a minimum lot size of three acres. Wadmalaw Island is an excellent choice for those wanting a large estate for farming, grazing pastures, or hunting. 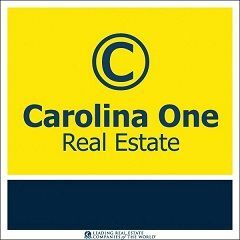 Property prices per acre are generally lower than other areas in Charleston County, and there still remain large tracts of undivided property for sale. Located 40 minutes south of Charleston, South Carolina, Wadmalaw Island has no beach front because Seabrook Island is on the Atlantic side. Wadmalaw Island is very rural, with little to no commercial or retail business. Residents rely on the shopping and restaurants in Johns Island, which is just 10 minutes north of Wadmalaw on the way to Charleston. Wadmalaw is a great area to look for large estate sized lots for farms and pasture. There are also very nice waterfront lots and communities on Wadmalaw Island. It's a great place for people looking for the privacy of the country but who still enjoy spending time in the city. There are several unique features to be found only on Wadmalaw Island. The Charleston Tea Plantation is a functioning farm that grows, markets, and sells the only tea leaves grown in the Lowcountry. It is also home to the annual First Flush Festival, which combines food and entertainment with the first harvest of tea leaves. Also on Wadmalaw Island is Deep Water Vineyard (formerly Irvin-House Vineyard), a local favorite and the only domestic winery located in Charleston. This forty-eight acre winery grows, harvests, ferments, and bottles its own wines. Its muscadine wines are a popular choice throughout the Lowcountry, and the vineyard is open for tours and seasonal events. Why do I see only houses for sale on Wadmalaw Island? There are no townhouses or condominiums on Wadmalaw due to acreage requirements. What is there to do on Wadmalaw Island? Since Wadmalaw is mostly rural, you'll find lots of outdoor activities. There are a few public boat landings with access to the Intracoastal Waterway. Visitors can tour the Charleston Tea Plantation to learn how tea is made. You can also visit Deep Water Vineyard to tour the vineyards and go to a wine tasting. Wadmalaw Island also has an annual Gullah Festival. For more entertainment options, Wadmalaw residents can go to other areas of Charleston. How far is Wadmalaw Island from downtown Charleston? Wadmalaw Island is about a 40 minute drive from downtown Charleston. What is the closest beach? Since Wadmalaw Island has no beach, residents often go to Folly Beach, which is about a 35 minute drive. What types of jobs can I find on Wadmalaw Island? Most residents of Wadmalaw Island commute to other Charleston areas for work.